Join the SBAC Women in Business Group for a great opportunity to network and learn. 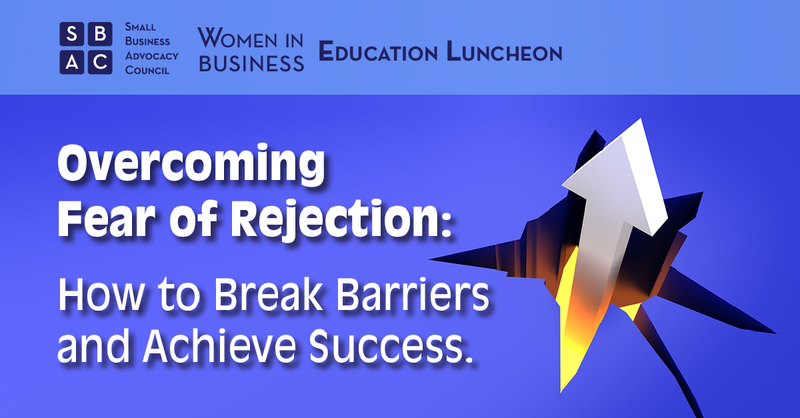 This luncheon will feature a presentation titled, "Overcoming Fear of Rejection: How to Break Barriers and Achieve Success," given by Megan Wessels (Powerful Partners) and Jennifer Bender (Winstrust). Sales are the heart of a business. Most of us do not have a publicist or spokesperson, therefore, when it comes to selling ourselves, our talents, expertise, services, and products, we’re on our own. With selling, naturally comes rejection because everyone may not always want what we are offering. It is ultimately the way we deal with rejection that determines our success. In this presentation we are going to help you identify your barriers, and provide solutions to help you overcome them and drive sales to reach your full potential. Men and women are both welcome to attend and your meal is included in the ticket price. Question? Contact Kimberly Brisky at kimberly@sbacil.org. There is also a lot on the corner of Hubbard & LaSalle.